Objective To evaluate the efficacy of intermittent preventive treatment of malaria using sulphadoxine-pyrimethamine (SP) in the prevention of anaemia in women of low parity in a low socio-economic, malaria endemic setting. Method The study design was an open randomized control trial comparing anaemia incidence among pregnant women on intermittent presumptive treatment of malaria with SP with those on chloroquine (CQ). A total of 352 primigravid and secondigravid women between 16 and 30 weeks gestation receiving antenatal care at the Primary Health Care Center, Enuwa in Ile-Ife, Osun State, Nigeria were serially recruited and randomly allocated into experimental and control groups of 176 each. 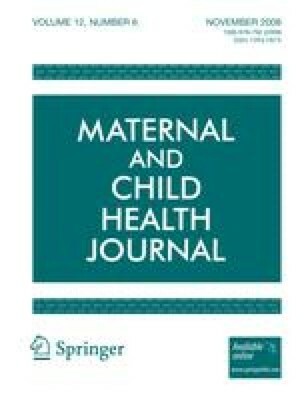 The experimental group received SP (to a maximum of three doses depending on the gestational age at enrollment into the study) while the control group had treatment doses of CQ at recruitment and subsequently only if they had symptoms suggestive of malaria. The primary outcome measure was anaemia (haematocrit < 30) at 34 weeks of gestation. Result At recruitment and 34 weeks gestation, there was no statistically significant difference between the experimental and control group in terms of socio-demographic characteristics and past medical history. Thirty-three (22.6%) and 52 (37.1%) women in the study and control groups, respectively, had anaemia (protective efficacy 49.5%, p = 0.01). With multivariate analysis, controlling for the possible confounding effects of education, parity, haemoglobin level at booking and malaria parasitaemia in peripheral blood, the difference in the incidence of anaemia in the two groups remained significant (p = 0.01; odds ratio = 0.5; 95% confidence interval = 0.29–0.85). Conclusion The IPT regime with sulphadoxine-pyrimethamine is an effective, practicable strategy to decrease risk of anaemia in women of low parity residing in areas endemic for malaria. Malaria Foundation International. http://www.malaria.org. Accessed February 2003. Malaria—A crisis with solutions. World Health Organisation. http://www.rbm.who.int/docs/AMD/factsheet.htm. Accessed 23 July 2005.